High Tech Connections offers a comprehensive line of external power products featuring hundreds of AC/AC and AC/DC models. These unregulated direct plug-in adapters offer product engineers practical and flexible design solutions for developing today’s smaller equipment. Hundreds of popular models are available in a variety of case dimensions, blade and plug options and input and output voltages. All units pass the required tests and have obtained the necessary safety agency approvals required such as UL, CSA, cUL, BSMI, PSE-Mark and TUV/GS. 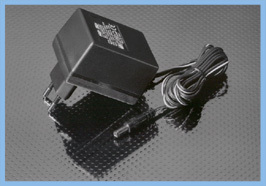 AC adapters from High Tech Connections support the design and manufacturing efforts of a multitude of companies in North America, Great Britain, Continental Europe, Australia and other countries. In addition to AC adapters, High Tech Connections provides complete power supply solutions with custom-manufactured regulated power supplies and adapters, linear and switching power suppliers, power inverters, travel converters, step up/down transformers and battery chargers for Ni-Cd, Ni-MH and alkaline batteries.